'Cross-eye Donny' wanted as suspect in downtown homicide | Crime Stoppers of the Lowcountry: 554-1111 | 1-888-CRIME-SC | Anonymous tips earn cash rewards with Crime Stoppers of the Lowcountry. 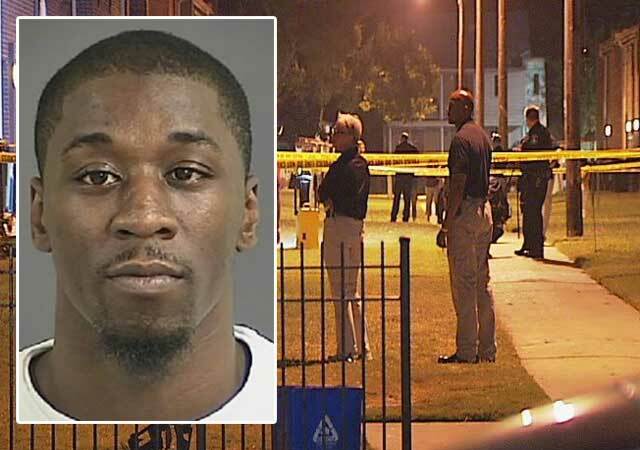 CHARLESTON, SC (WCSC) - Police are on the lookout for a man suspected of shooting and killing a 21-year-old man at a downtown Charleston apartment last Friday. The Charleston Police Department is looking for Donyell Catrez Wright who goes by the nickname "Cross-eye" Donny in connection to the death of 21-year-old Thomas Tony Shine. Shine's aunt says that the victim was waiting for a ride when the shots were fired. "I just heard the bang, bang, bang, get downstairs, see the holes through the back door," she said. "He ran from the back door holding himself to the living room, laid out right here, gasping, gasping. He was practically gone I guess before the ambulance got here."